Thank you for your help and generosity! You have made our Hearts Smile! 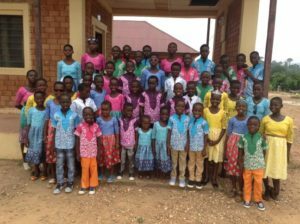 We are a registered 501-C3 non-profit organization dedicated to aiding orphaned children in Ghana. We sincerely accept any monetary donation you wish to gift to The Heart Smiles Organization. All donations are tax deductible and it is used for our shared noble cause. Any amount will make a difference. Please remember that 100% of your donation(s) is applied to projects as outlined in our mission and vision for the benefit of the children. Please add a description indicating whether this is a Gala ticket purchase or sponsorship donation. Online Donation: Click Here to Donate Online! We have had many folks ask to help us fund raise by holding a garage sale, having a jewelry party, fun runs, penny drives and more.